And greens save that cutie Miss Oyl! 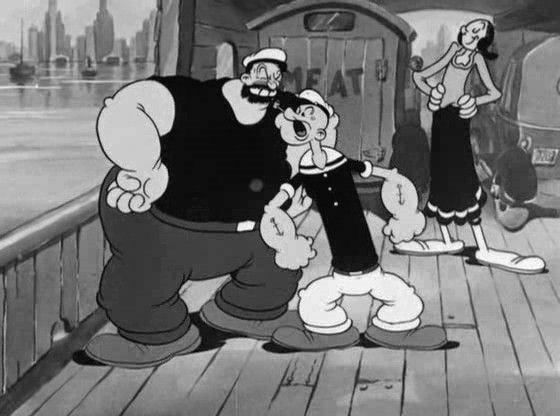 Popeye and Bluto square off in a frame from Bridge Ahoy! (Dave Fleischer, Seymour Kneitel; 1936).